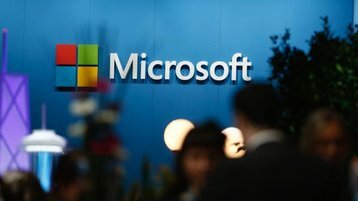 Microsoft has increased the resources it is willing to put behind its quantum computing initiative as it believes it is ready to move from pure research to attempting to build a working prototype. Way back in 2005, Microsoft opened ‘Station Q’ to research topological quantum computing - a different type to the more standard quantum computing approaches currently being pursued by Google and IBM. The computational power of topological quantum computing would theoretically be equivalent to that of the quantum circuit model known to have been used by Google, although certain algorithms and problems are thought to be more suited to different architectures. A 2003 paper by Michael Freedman (who went on to lead Station Q), Alexei Kitaev et al. showed that a topological quantum computer should be able to do any computation that a conventional quantum computer can do. Rather than having bits that are either in the state of 0 or 1, like classical computers, or having trapped quantum bits (qubits) that can be in the state of 0, 1 (both states at once, known as superposition) like in the circuit model, the Microsoft approach is perhaps even more complicated. The four-dimensional path (or world line) of two-dimensional quasiparticles called ‘anyons’ are used to form braids in a three-dimensional spacetime, which are then used to form the logic gates of the computer. The advantage is that topological quantum computers are more robust. Trapped qubits need to be isolated from interactions to maintain superposition, and are thus vulnerable to even the slightest of disturbance. By comparison, braids are relatively stable. “In most quantum systems, information is encoded in the properties of particles, and the slightest interaction with their surroundings will destroy their quantum state,” Microsoft’s Alex Bocharov told Nature in October. At the time, Bocharov said that the company had 35 to 40 people working on quantum computing, including on software for any potential hardware. Now Microsoft is expanding the team, with longtime Microsoft exec Todd Holmdahl leading the initiative, after working on Xbox, Kinect and HoloLens. Joining the group is Leo Kouwenhoven, distinguished professor at the Delft University of Technology and founding director of QuTech, the Advanced Research Center on Quantum Technologies, along with Charles Marcus, the Villum Kann Rasmussen Professor at the Niels Bohr Institute at the University of Copenhagen and director of the Danish National Research Foundation-sponsored Center for Quantum Devices. Microsoft will soon add Matthias Troyer, full professor for Computational Physics at the Institute for Theoretical Physics at ETH Zurich, and David Reilly, of the University of Syndey and head of Australia’s Quantum Nanoscience Laboratory.